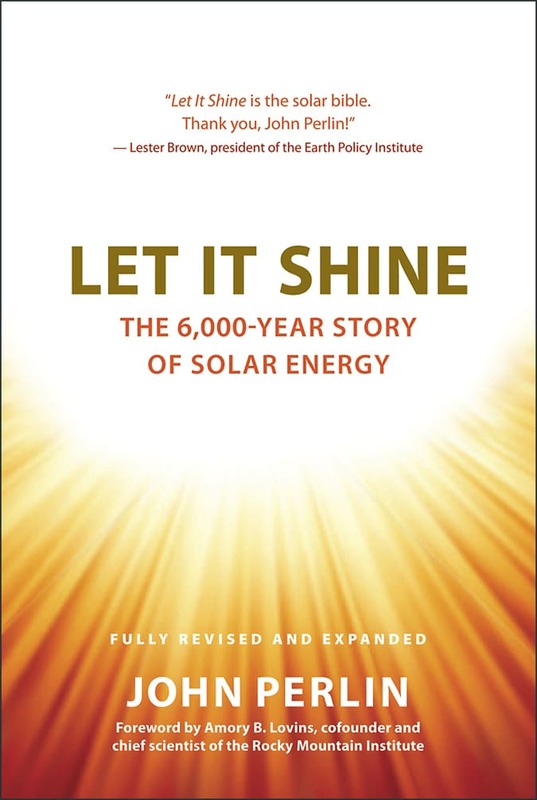 Special thanks to author John Perlin for this solar history contribution about others who long ago tried to end one solar entrepreneur’s life. 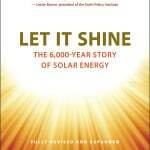 The material comes from Perlin’s recently published book, Let It Shine: The 6000-Year Story of Solar Energy. He will be a featured speaker at Intersolar. At this event, he will sign copies of his book. The Atacama Desert in northern Chile well deserves its reputation as the American Sahara. But when, in 1870, news spread of a “mountain of silver” discovered in the Atacama region known as Caracoles, it did not seem too parched to keep the human hordes from flocking there hoping to strike pay dirt. To bring the silver out and supplies in, 1500 carts, each pulled by 5 to 6 mules, regularly plied the rugged trails connecting Caracoles to Antofogasta, the closest port, which lay 120 miles away. The location of Las Salinas, a town half way between Caracoles and Antofogasta, made it a natural stop over for those going to and coming from the silver district. At Las Salinas, teamsters would stock up on supplies for the remainder of the trip. Although aquifers ran under Las Salinas, they carried undrinkable brine. An entrepreneur decided to profit from the need for potable water by setting up a steam-powered distillation plant. It ran on coal shipped from Antofogasta. Bringing fuel into Las Salinas cost a lot. Freight rates from the port were higher than what ships charged for carrying similar cargo from Europe. The water vendor passed on his costs and more to the silver-rich but thirsty miners. Charles Wilson, an American far from home and like so many others of various nationalities attracted to the Atacama by the silver rush, saw his chance for riches not in the mines but by making drinking water with the solar energy. At Las Salinas, people would pay enormous sums for good water and the ingredients for making solar distilled water, sunlight and brine, abounded. 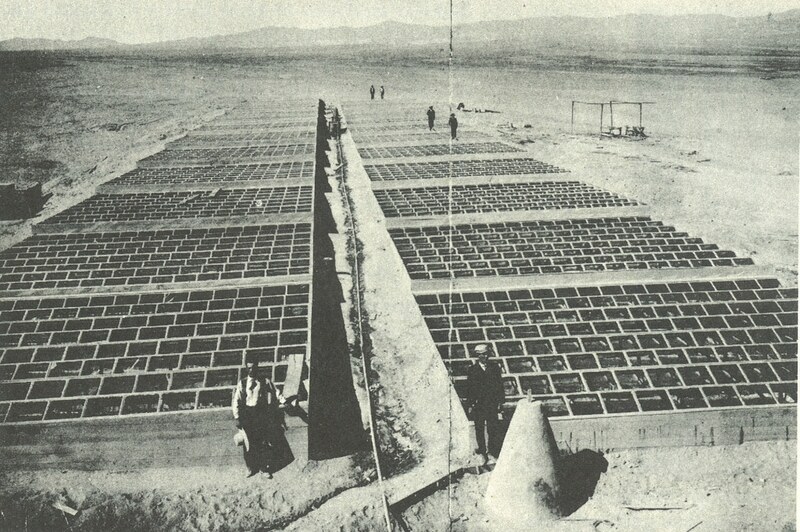 The solar distillation plant Wilson built in 1882 pumped brine from the ground using a windmill to fill long, shallow troughs. Wilson’s plant had each trough permanently roofed with a low, A-frame made of glass panels. The vapor-laden air, much hotter than the outside atmosphere, condensed when it came in contact with the cooler glass. The glass clouded up. Droplets formed, coalesced and trickled down the sloping glass ceiling into collecting grooves that led to a fresh water storage tank. On peak days, the five thousand gallon tank would fill all the way. Selling that number of gallons per day could bring in up to $2,000, paying back the initial investments for the 50,000 square foot installation in under a month! While the going price for water in the region ran between 20 to 40 cents a gallon, production costs came to less than one cent per gallon. Wilson’s rival had to spend more than four times that amount. Relatively cheap water spelled doom for Wilson’s competition in Las Salinas and other near-by towns. The warning did not ruffle the man they knew as Carlos Wilson. He left the next morning with his would-be assassin as if nothing were amiss. The coach stop faded from view. Scorched rock and blue sky lay before them. Nothing moved except for some vultures circling far off. Without warning, Wilson drew his pistol and shoved the end of the gun barrel against the driver’s temple. The miscreant readily confessed and begged for his life. Wilson relented, tied the driver up, threw him in back with the water barrels, took the reins and continued to their destination where he handed over his prisoner to the law. I. Bowman, 1924, Desert Trails of Atacama, pp.171-172 (description of Caracoles, high expense of freight and the number of carts passing through Las Salinas. J. Harding, 1883, “Apparatus for Solar Distillation,” Institute of Civil Engineering. Proceedings., p.285 (description of the plant) & p.285 & 287, (cost of coal-distilled water & solar). 3. Julio Hirshberg, 1975, “Carlos Wilson’s Solar Still,” ISES News, #11, p.3 (murder attempt).